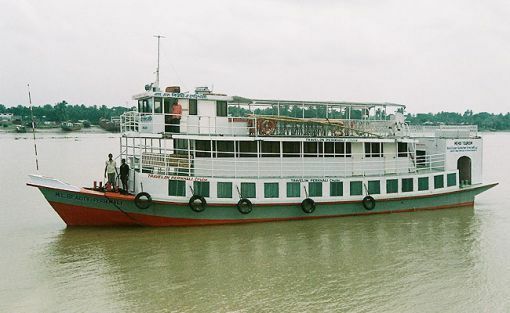 Sunderbans Boat Cruise - Cruise along River Malta across the biggest mangrove forest in the world through narrow creeks and around the Sunderban Tiger Reserve. Spot the Bengal Tiger or simply spend the day spent lounging around on the deck.HolidayIQ Traveller Dr. Mukerjee from Delhi shares, It was a trip in the month of January when cool breezes were still flowing and we started from Ballygunge at the very morning by their Force Traveller. The houseboat took us to the wild by both narrow and wide countless canals. The Scenic beauty of the mangroves beside the canals/rivers were heavenly.. Different types of birds and animals we found on the banks, like herons, kingfishers, parrot, bee-eater, saalikh, white necked kite, sweet water crocs, deer, monkeys, snakes, wild hogs, otters etc.